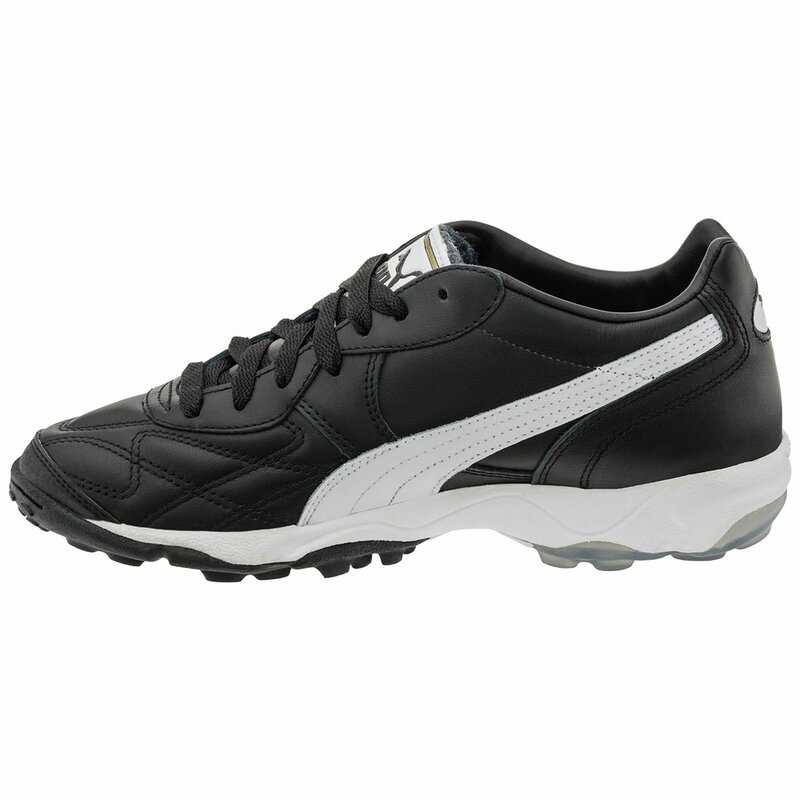 Puma soccer's "King Allaround Turf" upper is made from PUMA LITE leather, suede toe reinforcement, quilted vamp, GRIPTEX ankle lining, distinctive pro style foldover tongue. 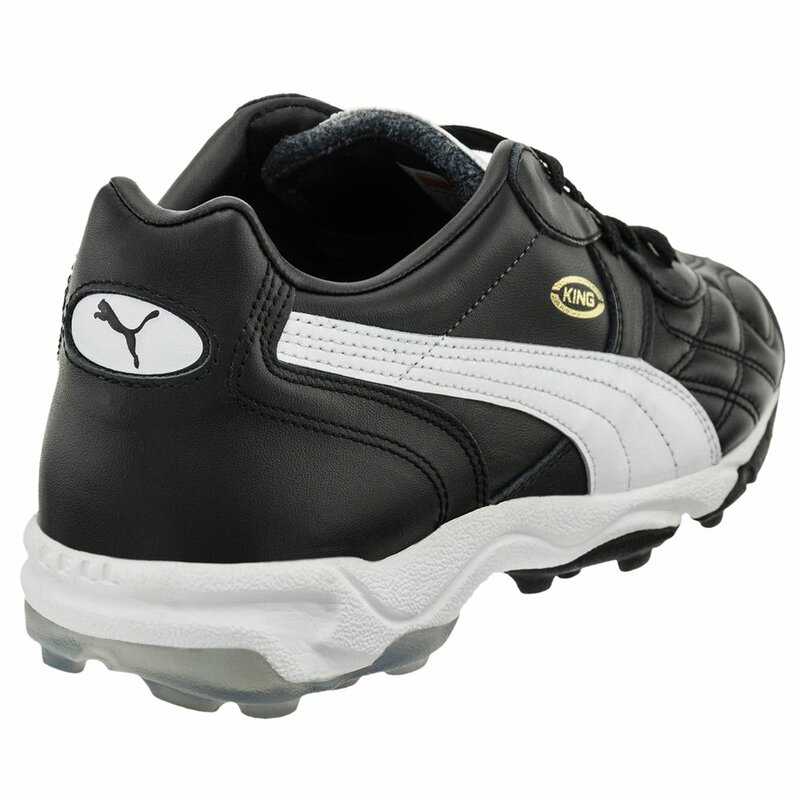 EVERTRACK multi-studded GROUND CONTROL outsole. 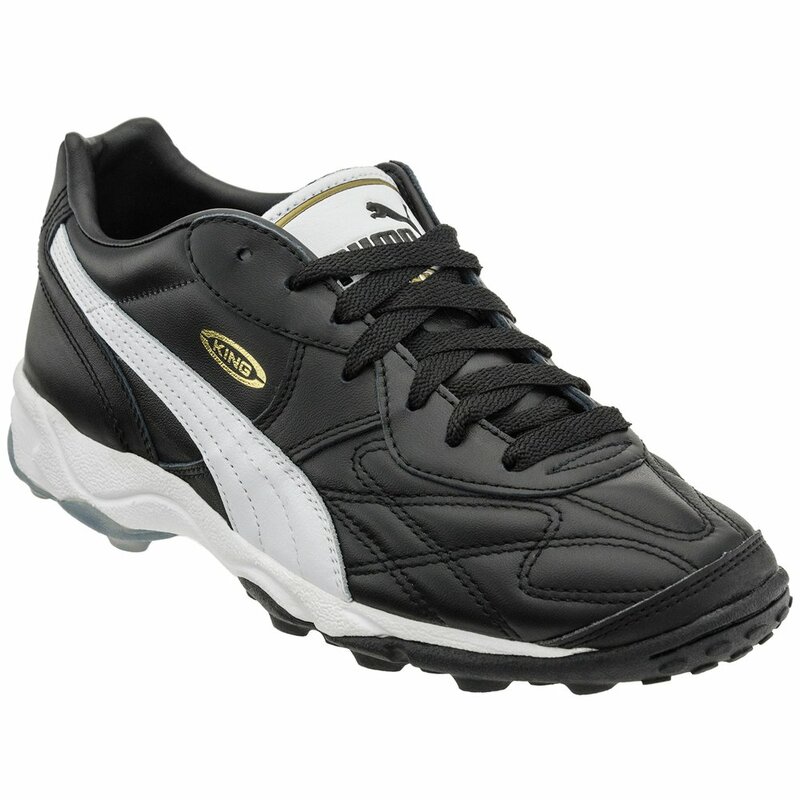 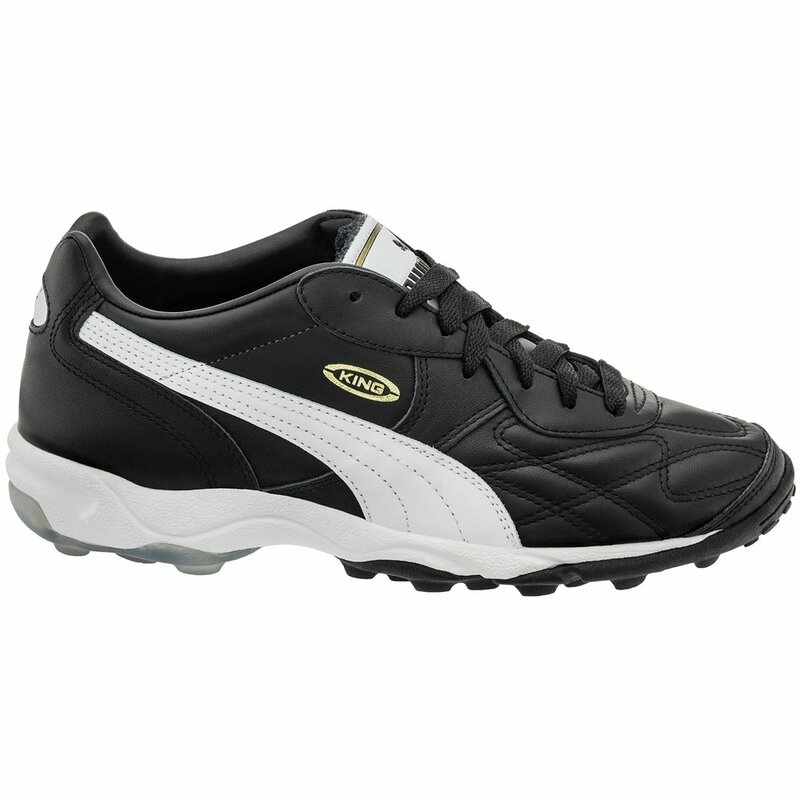 Professional soccer shoe for use on natural surfaces and artificial turf.